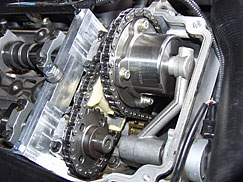 On the inside of an engine, adding Microlon changes the properties of the metal surfaces. 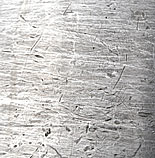 The one-time treatment penetrates the metal surfaces, leaving behind a super-slippery film. 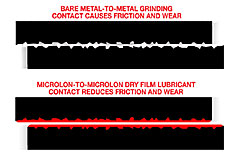 Metal-to-metal contact is changed to Microlon-to-Microlon contact which is much more efficient, meaning less energy is used to overcome friction and that more energy makes it to your drive train. Only about 15% of the energy in the fuel that you put in your gas tank gets used to move your car down the road or run useful accessories like air conditioning or power steering. The rest of the energy is lost. Because of this, the potential to improve fuel economy with advanced technologies is vast! Motor vehicles need to accelerate (overcome inertia), to push the air out of their way (aerodynamic drag), and to overcome the friction from tires, wheels and axles (rolling resistance). Fuel provides the needed energy in the form of chemicals that can be combusted (oxidized) to release heat. Engines transform heat released in combustion into useful work that ultimately turns the vehicle's wheels propelling it down the road. Even modern internal combustion engines convert only one third of the energy in fuel into useful work. The rest is lost to waste heat, the friction of moving engine parts, or to pumping air into and out of the engine. All of the steps at which energy is wasted are opportunities for advanced technologies to increase fuel economy. Of the energy content in a gallon of gasoline, 62% is lost to engine friction, engine-pumping losses, and to waste heat. In urban driving, another 2 Accessories necessary for the vehicle's operation (e.g., waterpump) or for passenger comfort (e.g., air conditioning) take another 2%. This diagram illustrates the paths of energy through a typical gas-powered vehicle in city driving. 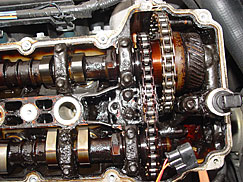 Just over 18% of the energy in gasoline makes it to the transmission. 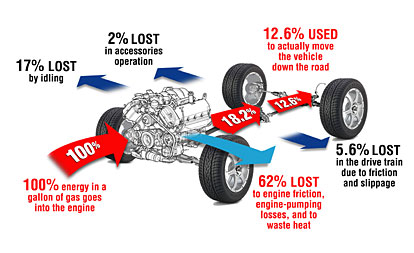 Losses in the drive train to friction and slippage claim more than 5%, leaving a bit less than 13% to actually move the vehicle down the road. The laws of physics will not permit all of these losses to be entirely eliminated. But improvements are possible at every step. The 12.6% of original fuel energy that makes it to the wheels must provide acceleration (5.8%) and overcome aerodynamic drag (2.6%) and rolling resistance. In stop and go city driving, it is not surprising that acceleration is the biggest need, rolling is next, followed by aerodynamic drag. On the highway the order is reversed: aerodynamic drag, which increases at an increasing rate with speed, requires the most energy (10.9%). Each of these final uses of energy also represents an opportunity to improve fuel economy. Substitutions of high strength lightweight materials can reduce vehicle mass and thus the energy required for acceleration. Smoother vehicle shapes have already reduced drag significantly, but further reductions of 20-30% are possible.